Finger knitting a chunky throw blanket is easier than you think! Follow along with me when I make this beautiful Fluffy Hugs Blanket! In this video tutorial I teach how to make this blanket with no tools but your fingers!! Make this super chunky knit blanket and snuggle up in a bulky throw!! There is no written pattern for this as you only need to pull up loops with your fingers to make this blanket! See it in the video tutorial!! -You will need 310 Yards of this yarn for this whole project. -You can use any type of Bulky or Jumbo yarn to make this blanket. I would recommend using 2 or 3 strands of bulky yarn together to crochet the same thickness as my blanket. You can add as many strands of yarn to your likeness to make a super chunky blanket!! Have fun with it! Like this blanket? Try the Star Stitches and Stripes Blanket here! Try the Cozy Colossal Blanket too!! If you have ever looked through a changing kaleidoscope, you are aware that by a slight shift, the designs change giving you colorful visions with each turn. That inspired my Colorful Visions Afghan! This colorful throw is bursting with 7 different hues of the magnificent Marly Bird Chic Sheep Yarn and combined to take your breath away! The photos do not do this piece justice! Once you begin, you will see how incredible this work of fiber art really is! I changed a small detail in the four corner squares to add a bit of subtle creative flare but it is creator’s choice to make this change or not. Were you able to spot this small detail? Working with Chic Sheep Yarn through Red Heart Yarns has turned me on to this remarkable fiber. The colors pop, the yarn is luxuriously soft, and most of all, it is a JOY to work with! Here is my step by step instructional video and written pattern to help you make yours today!! Here is the individual Granny square design up close. Just like the kaleidoscope design, my colorful visions afghan will provide any space with that vivid pop of color and change your room from drab to fab! One small change can make a great big impact! Start yours today! –Marly Bird Chic Sheep Yarn in the following colors: Mai Tai, Green Tea, Dragon Fruit, VIP, Linen, Sangria, Stiletto (I used 4 balls of each color and a little more black) This blanket takes 5,300 yards of yarn. -This blanket is 50 inches wide and 76 inches long but you can make less or more squares to make it as big as you want! Cluster Stitch: [YO, Insert Hook, YO pull through, YO pull through 2 loops on hook] 5 times, YO pull through all 6 loops on hook. Cluster made. Puff Stitch: [YO, insert hook, YO pull through] 4 times, YO pull through all 9 loops on hook. Puff made. Ch 1 to close puff. Rnd 5: In any TR around, attach new color, Ch up 1, *3 SC in TR st, BPSC on next 5 sts, [SC, HDC, 3 DC, HDC, SC] in next st, BPSC on next 5 sts, repeat from * around, sl st to first SC, fasten off, change color. Rnd 6: In any middle SC of a corner, attach new color, Ch up 4 (counts as TR), 10 TR in same st, *sk 6 sts, BPSC on next 7 sts, Sk 6 sts, 11 TR in next st, repeat from * around, sl st to beg ch up 4 st, fasten off, change color. Rnd 7: Working in BLO, in any middle TR of the 11 TR grouping, attach new color, Ch 3 (counts as st), [DC, ch 2, 2 DC] in same st, *HDC in next st, SC in next st, Sk 4 sts, 2 TR in each of the next 5 sts, SK 4 sts, SC in next st, HDC in next st, [2 DC, Ch 2, 2 DC] in next st, repeat from * around, sl st to first ch up 3 st, fasten off, change color. Rnd 8: Working in both loops, in any ch 2 corner sp, attach new color, Ch 3, [DC, ch 2, 2 DC] in same sp, DC in each st around putting [2 DC, ch 2, 2 DC] in each corner, sl st to beg. ch 3 st, fasten off, change color. Rnd 9: In any ch 2 corner sp, attach new color, Ch 3, 6 DC in same corner sp, * Sk 2 sts, SC in next 4 sts, [FPTR on next 2 TR from Rnd 7, SC in next 2 sts on Rnd 8] 2 times, FPTR on next 2 sts from Rnd 7, SC in next 4 sts on Rnd 8, Sk 2 sts, 7 DC in ch 2 corner sp, repeat from * around, sl st to beg. ch 3, fasten off, change color. Rnd 10: In any middle DC of a 7 DC grouping, attach new color, Ch 3, [DC, ch 2, 2 DC] in same st, *[5 DC cluster in next st, ch 1, DC in next st] 2 times, 5 DC cluster in next st, ch 1, DC in next 14 sts, [5 DC cluster in next st, ch 1, DC in next st] 2 times, 5 DC cluster in next st, [2 DC, ch 2, 2 DC] in next st, repeat from * around, sl st to beg. ch 3 st, fasten off, change color. Rnd 11: In any ch 2 corner sp, attach new color, Ch 1, *3 SC in corner, SC in next st, FPDC in corner st on Rnd 9, SC in cluster st, FPDC in next st on Rnd 9, SC in cluster st, FPDC on next st on Rnd 9, SC in next cluster st, FPDC on next st on Rnd 9, SC in next 6 sts, TR2TOG working first half of the stitch around BOTH TRs from 1st grouping on Rnd 9 and the second half of the stitch around BOTH TRs from 3rd grouping on Rnd 9, SC in next 6 sts on Rnd 10, [FPDC on next st on rnd 9, SC in cluster st] 3 times, FPDC on corner st on Rnd 9, SC in next st, repeat from * around, sl st to first SC, fasten off, change color. Rnd 12: In any middle SC of a corner, attach new color, Ch 3, [DC, ch 2, 2 DC] in same st, *DC in next 15 sts, FPTR on next 2 TR from Rnd 9, DC in next 14 sts, [2 DC, ch 2, 2 DC] in middle sc of the next corner, repeat from * around, sl st to beg ch 3 st, fasten off, change color. Rnd 17: In any corner ch 2 sp, attach new color, ch 3, [DC, ch 2, 2 DC] in same corner sp, *[3 DC in next ch 2 sp] 14 times, [2 DC, ch 2, 2DC] in next corner, repeat from * around, sl st to beg ch 3 st, fasten off, weave in all ends. I would recommend watching the video tutorial on the attachment method, but you can attach your squares 4 squares across, and 5 squares down. I used the slip stitch method to attach the squares, but you can single crochet them together, you can sew them together using the whip stitch or the mattress stitch. For the border, I put 3 SC in the corner ch 2 sps, and I just put 1 SC in each st around. It’s a very simple border. My top ten pattern blogs of 2017 are compiled here in one place! Maybe you have made one or maybe you have made them all, or maybe there are some on your “to do list.” Whatever the case, these great projects are sure to be great hits for gifts or for yourself! My Solid Tan Chunky Basketweave Blanket is the next project you must add to your to do list! This supremely soft and comfy blanket will make you want to wrap yourself up and not come out for the rest of the season! Grab a good book, a cup of hot tea, and this cozy blanket and you have all the perfect comforts for a fantastic night in! -I used Red Heart Sweet Yarn but you can use any bulky size yarn to make this blanket. Get the mug photographed here! Get the book photographed here!! When you are finished with your last row, SC around the entire blanket to clean up the edges and put 3 SC in each corner. Sl st to first SC, and fasten off. Days turned into weeks, that turned into months, and I finally finished. My crochet hand and arms had a mega workout, but it was so worth the effort. This beautiful chunky yarn blanket using Red Heart Irresistible Yarn is one of the most beautiful pieces I have ever made for the home. Just in time for cold nights and winter winds, it truly is…irresistible. This blanket is an investment piece. These chunky yarns are not skeins you are going to find in a bargain bin. They can be pricey. This is one of those projects where coupons and sales come in handy!! This is definitely a piece you want to have for your home or for a gift to someone VERY special. Side note–this blanket does shed, and I personally have not felted mine to reduce the shedding, but you can opt to do whatever you feel. I made my project in stripes, but you can make it in a solid tone. It’s a striking blanket no matter what you decide to do. This afghan is extremely heavy–I would guess about 10-12 pounds, maybe more! This is a very trendy and popular piece that you find in high end home decor. -You will need 760 Yards of yarn for this whole project. -You can use any type of Bulky or Jumbo yarn to crochet this blanket. I would recommend using 2 or 3 strands of bulky yarn together to crochet the same thickness as my blanket. You can add as many strands of yarn to your likeness to make a super chunky blanket!! Have fun with it! Row 2: SC across, ch 1, turn. Rows 3-35: Repeat Row 2. You can make your blanket as wide as you want, just repeat the pattern to make more rows. Fasten off, weave in any ends. I changed color every 5 rows. See video tutorial for visual instructions on changing color and if you run out of yarn during your project. Searching for inspiration on a new project practically fell into my lap recently! I ran across a wall hanging/quilt project that popped up on my news feed on Facebook of a Fabric Panda Blanket. I was fixated on it and took a screenshot with the idea that I could somehow replicate it using all crochet. The cute peeking pandas pop right out on this blanket and add a touch of whimsy!! The shape in the quilting world that was used for the original pieces was called the clam-shell. Seeing that replicating the clam-shell shape was going to be a bit of a challenge in crochet that I didn’t want to take on, I decided to create this project using all full circles and half circles. Picking out my color palette was my second challenge as the template that I was working off of used many shades of printed fabric. How would I achieve a look similar without it looking too busy? I decided to stick with solids on all the shapes however; a variegated yarn might add some fun texture to this piece. Really anything goes! After counting out all the pieces needed and arranging the color palette, it was a simple repeat project from there. Just crochet 49 full circles and 22 half circles. I made my original circles approximately six inches across, but feel free to make them larger for a more sizable piece. You can also use the same size circles, just multiply to make it larger if you are going for a bigger blanket. Like I said earlier, anything goes! Below, find the video tutorial and written pattern for your convenience. I love how this turned out and it can be a darling accent hung on a wall in a nursery or child’s room or used as the quilt it was intended. Also, with a few minor adjustments and a little handy artistry, you could add a stalk of bamboo or change these pandas to emojis, puppies, kitties, silly monsters, or any other fun and whimsical character! Let your imagination run wild! Have fun and be sure to share your work here on Facebook when your project is complete! -You will need 1100 Yards of yarn for this whole project. -Scroll down to see Materials Section for Color Numbers and See written pattern for how many of each Circle and Half Circle you will need. -My suggestion would be to not use a dark tone behind the panda ears. As you can see, the ears don’t show up really well in front of the Soft Navy yarn. A brighter color may have been better in that location. –Here is the pattern I gained inspiration for this project. Continue to SC around entire piece for a clean edge. Row 3: HDC in first 2 sts, Sl st in next st, HDC in last 2 sts, ch 1, turn. Row 4: SC in first 2 sts, sk sl st, SC in last 2 sts and continue to SC around entire piece. See video tutorial for visual instructions on last row. Embroider nose and mouth on each one. Using Black: SC around entire blanket putting 3 SC in corners. I wanted to create an unconventional piece for a baby. I have somebody close to me that is having a baby soon and I was inspired to think outside the box with this amazing Color Pop Baby Blanket. Steering away from the “traditional” pastel colors or pinks and blues for gender specifications, I wanted to create something that is gender neutral as the mother and father do not know the baby’s gender. Using that inspiration and that element of surprise, I wanted to make something that just WOW’s the nursery and the arrival of this new baby. This amazing piece started to form from a small creative idea that I had. This bright and colorful blanket combines a variety of stitches to give rich texture with a cheerful *pop* of color in the stripes! I framed the entire piece with a crocheted pom border as well. This border is very reminiscent of the 1970’s trend, but I have added new life to the retro look. It is fabulous! Not only will this be a great addition to any nursery, but it would serve as a secondary purpose of being a great play throw to have to crawl around on the floor with. There are so many sensory textures. In this baby blanket, I used popcorn stitches, granny stitches, double crochets, single crochets, cluster stitches, puff stitches, and treble crochets. You can even make this blanket bigger to make an afghan or even a full bedspread! Get creative! You can use any colors you like, so if you know the gender of the baby, you could make this in a variety of hues of one color or make this in one solid color. The possibilities are endless! I can’t wait to see what you create! This was such a fun project! -You can make this blanket any size by making your beginning chain an even number. -You can use any colors you want. I used a Worsted Weight, Size 4 Medium Yarn but you can use any Double Knitting Yarn or any Aran Yarn as well. -You do not have to change color so often, but sewing in those pesky ends is a nightmare. Be sure to sew them in as you go, but if you are not changing color as often as I do in the video tutorial, you can carry your yarn up the rows on the sides because when we make our border, we cover the sides anyway. PS: Puff Stitch: *YO, insert hook into st, YO, pull through, repeat from * until you have 7 loops on your hook. YO pull through all 7 loops. Pattern: Change color every row. Row 10: DC in next st, PS in next st (middle st of Granny Stitch), DC in next 2 sts, repeat from * across, ch 3, turn. Rnd 1: SC around entire blanket putting 3 sc in each corner. Sl st to first sc. Rnd 2: Ch 6, 3DC cluster in 3rd ch from hook, Ch 3, 3 dc cluster in 3rd ch from hook. Sl st in ch where 1st cluster was made, ch 3, sk 3 sts, sc in next st. (see video tutorial for visual instructions) Sl st to beginning and fasten off! That border is amazing and can be put on any blanket!! Like this blanket? Try the Dream Time Mosaic Baby Quilt! 486 pixels were stitched over the past few months and each one was made with love. The creation of this pixel blanket was made to be given to Nate in time for his birthday today, March 30th, 2016. Nate is a video game enthusiast and early on I decided to create something epic for his special day. My idea formulated around a discussion about vintage video games we each played as kids. He loved Zelda, and mentioned the Nintendo NES system as a favorite. Of course, this had me scrambling in my creative way to find the perfect project to bring this favorite retro past-time to life. Behold the creation of the Nintendo NES Controller Pixel Blanket! I searched the internet for ideas on how to bring my vision to fruition and came across the blog from Repeat Crafter Me who created a Cupcake Pixel Blanket and I went into crazy creative overdrive!! I decided to try to graph this project out on paper and found a photo of this controller by just doing a Google Search. Once the graph was made, it was a series of mathematics calculations to figure out how much each square would equal in a measurement of inches. I wanted the overall size to be about the size of a queen-size bed. The calculations for this blanket equal the equivalent of 54 inches wide x 80 inches long. Once the size was determined, then the calculation of how many pixels of each color would have to be figured out. All these calculations can be found in the pattern below. Each square has to be individually created based on these initial calculations. It was easiest for me to work color by color. I began with grey, black, red, then lastly white. Once each square was made, I began to lay them out to determine if the vision in my mind was exactly what I pictured. This was the part where I held my breath hoping that I hadn’t made any mistakes in my calculations! Below you will see the pixels all laid out on the floor. Once the pixels were laid out and my design was satisfactory, the process of sewing these tiny squares was my next major step. Working in rows, I worked my way across first, then down, as shown in the tutorial video. Soon this project began to come together in the perfect work of art I envisioned! I added a few details to enhance this design. Instead of pixels, I crocheted two circles for the buttons on the controller and a crochet chain to emulate a cord coming from underneath the controller going to an invisible console. Once complete, this labor of my love became one of the most amazing creations I have made thus far. It was, by far, the best gift and was received with delight! 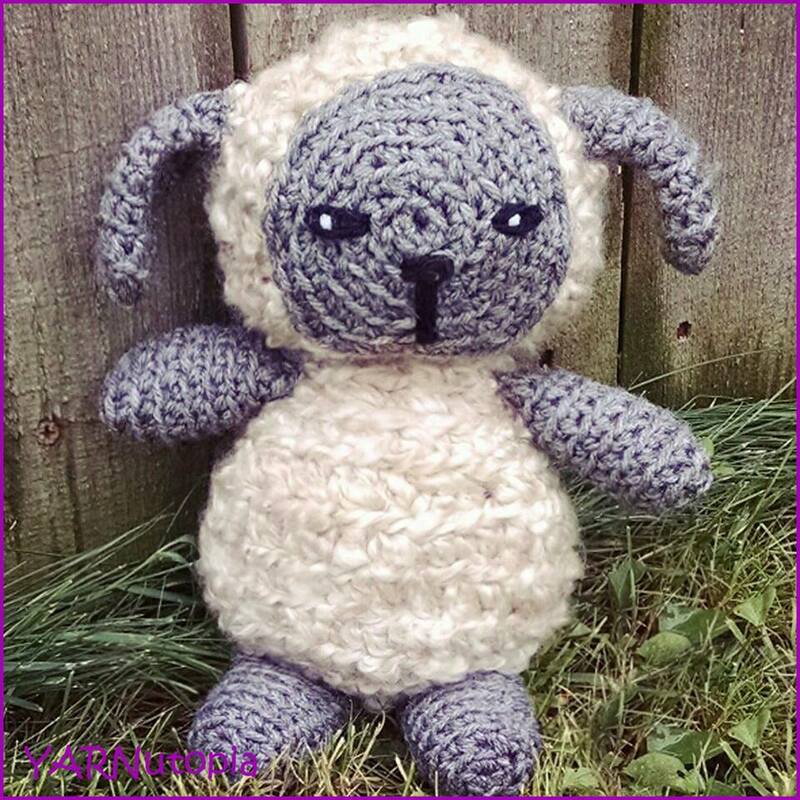 -You can use any yarn brand you want, as long as you stick to the colors White, Black, Gray, and Red to make the pixel photo in the end as long as it’s an 8ply or 10ply yarn (worsted weight/double knitting). -This took me a very long time to make. I started it in January 2016, but haven’t worked on it consistently, and I finished it on March 26th, 2016. -You could use a smaller hook to make this smaller. -When you attach your squares in the back, they puff up making a 3D look to the pixels. It looks great! Fasten off and follow video tutorial to learn how to make an invisible join. Row 1: DC in 3rd ch from hook and across. Sew your squares together following along with the photos and video tutorial for visual instructions. Sew Circles on blanket using video tutorial for visual instructions. Sew Cord on blanket using video tutorial for visual instructions. Single crochet around entire blanket using video tutorial for visual instructions. Put 3 sc in each of the 4 corners of the blanket.